We can still get really great technical talent out of the universities which is one of (the city’s) competitive advantages whereas in Silicon Valley it’s kind of a free for all. When Evgeny Tchebotarev started tinkering with the concept for online photography community 500px as a student in Toronto in 2004, the world was a different place. Even the term “startup” had yet to enter the public lexicon. The ubiquity of smartphones and the Internet was still just a spark, a match waiting to be struck. Facebook and Twitter were fermenting in dorm rooms with their creators and Instagram was half a decade away. So it stayed a hobby for Evgeny, a pet project to play with while he completed his bachelor of commerce at Ryerson University. But in 2009, he met Oleg Gutsol and the pair decided to try to re-launch the platform hoping to tap into the rising social media craze. At the time, Toronto just didn’t feel ready, he says. But it didn’t stay that way – Toronto began to experience a startup renaissance as those entrepreneurs working behind the scenes stepped out into the open. “Fast forward a few years later and there’s the DMZ at Ryerson University – the central hub of all the early stage startups – there’s a lot more venture capital sources centered around early stage businesses,” he says adding that 500px joined the DMZ at Ryerson University in 2011 and rapidly outgrew the space on the back of the incubator resources. The enthusiasm has proved infective. As of summer 2015, 500px has six million users, satellite offices in San Francisco and New York and has been named one of the best blogs of 2012 by Time magazine. And the future is looking even brighter. 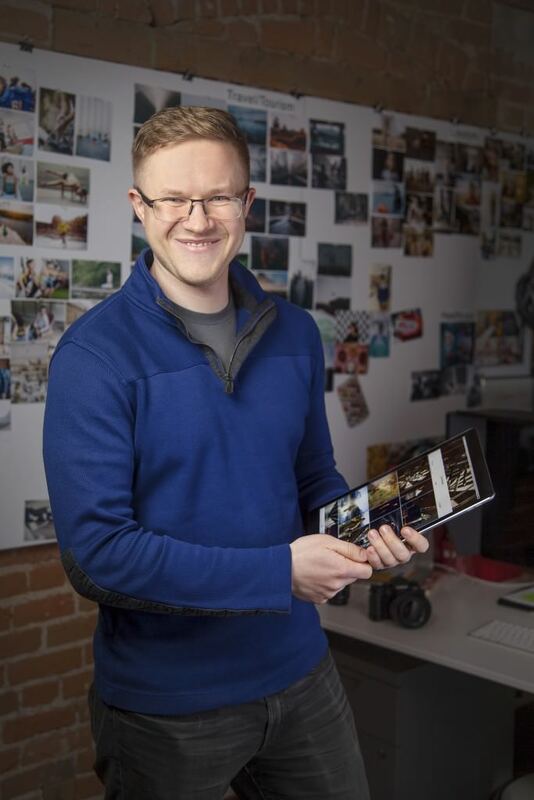 In July 2015, the company raised $13 million in Series B funding and in September of that year, Google announced that the online photography hub and app would be one of the first external Chromecast photography partners tapping into more than 20 million Chromecast users. But amongst the success and growth, Evgeny and 500px have no intentions of moving their home office elsewhere. It’s that same free-for-all that hurts companies like 500px that can’t afford to pay Google-like rates for engineers. But it’s not just financial and talent related, there are geographic benefits to being in Toronto too, says Evgeny. 500px is a photo community and marketplace for discovering, sharing, buying, and selling inspiring photography powered by creative people around the world.